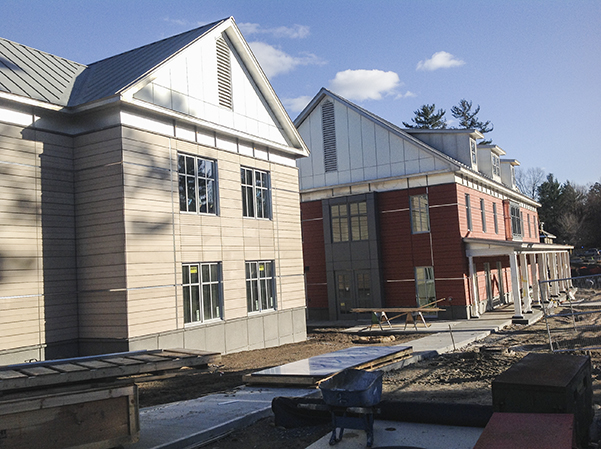 Kingston Hall is Southern New Hampshire University's newest residence hall. 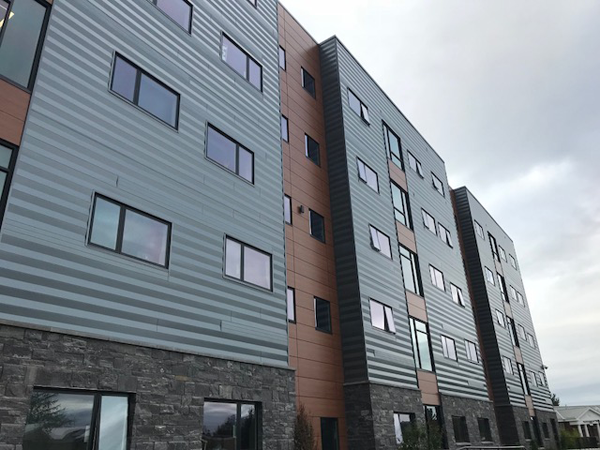 Housing 382 students, this large scale project included metal stud framing, wood blocking, insulation, caulking, vapor barriers, installation of door frames, acoustical tile ceilings and single skin metal panels from Morin Corporation. The aluminum composite panel system is Reynobond using 4mm FR - Italian Walnut - from the premium finishes series on the EVO rivetless (no exposed fastners) rainscreen system. Work was completed in 11 months, despite delays caused by the quantity of ledge found at the site. To see a video of the construction, click here. 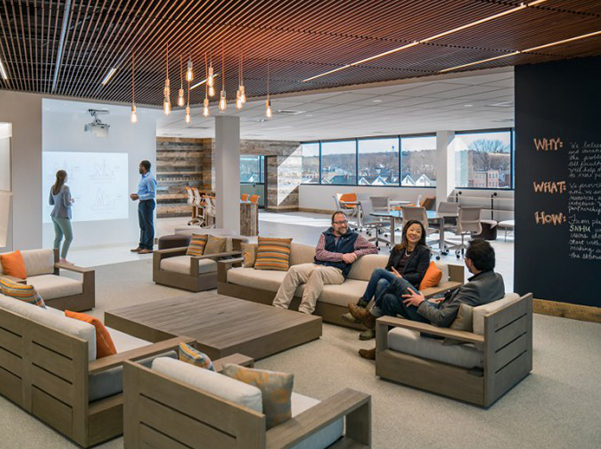 The Sandbox ColLABorative space at Southern New Hampshire University provides an innovative, state-of-the-art space for faculty and staff to come together for the purpose of research and development of new educational models and partnerships with business and government. Optimum Building Systems used Armstrong Woodworks® Grille Tegular acoustical ceiling panels, which have a high NRC rating, ensuring that noise levels from adjacent workspaces in the open concept floor plan are kept to a minimum. 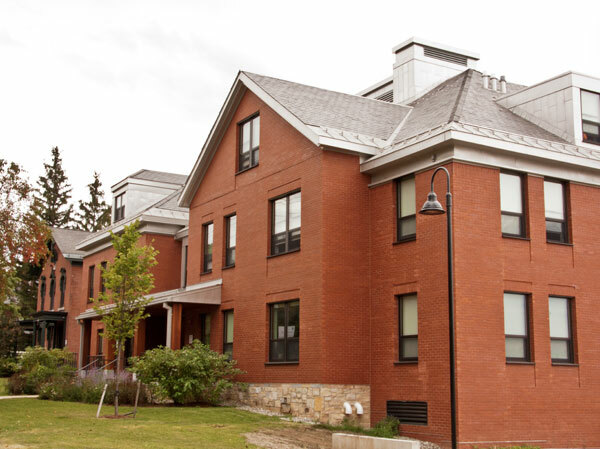 The Stetson Court residence hall is the first new dormitory at Williams College in over 42 years. The two-story building offers 60 beds in single and double rooms, study space, lounge areas, and a kitchen. Optimum Building Systems provided the metal framing, drywall, and EIFS systems for this high-profile project. The Pizzagalli Center for Art and Education at the Shelburne Museum, Shelburne, Vermont, opened to the public on August 18, 2013. The state-of-the-art galleries, classroom and auditorium will be open year-round, a first for the museum, which had operated seasonally since its founding in 1947. Designed by Anna Beha Architects of Boston, the LEED-certified facility provides 5,000 square feet of additional gallery space, an auditorium that seats 135, and a classroom that will host programs for all age groups. 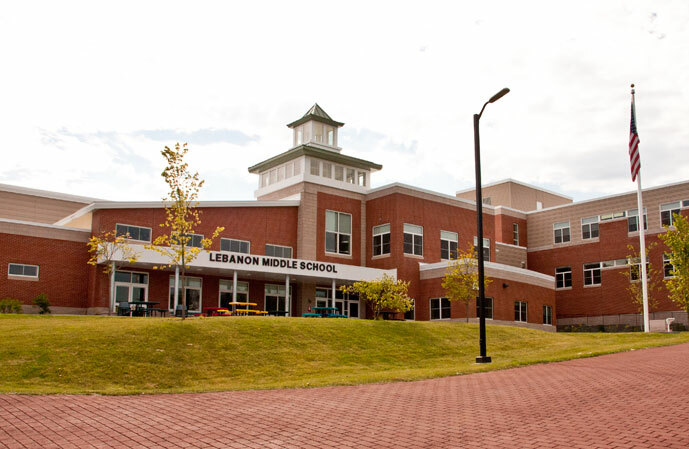 The Lebanon Middle School project was completed in the spring of 2012. This 105,000 square foot facility has a unique "green roof" that serves as an outdoor classroom, solar hot water, and a rainwater reclamation system. Kendade Hall at Mt. Holyoke College is the cornerstone of the college's $36 million dollar science center, and was completed in 2003. The building meets the LEED criteria for sustainable technologies as defined by the United States Green Building Council. General Contractor: Cutler Associates, Inc.
Juniper Hall, completed in July 2012, is part of the college's master plan to house the majority of students on campus. 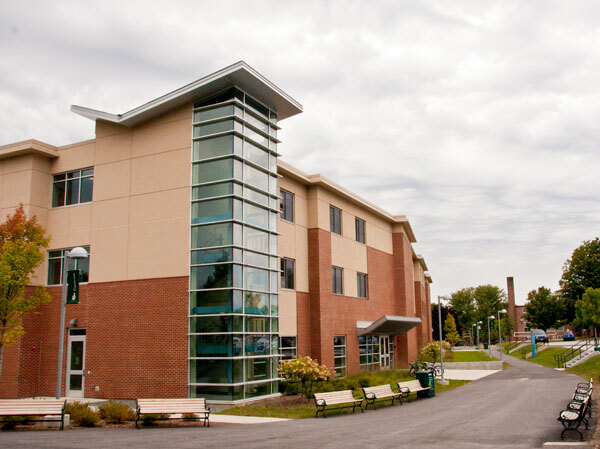 Hoff Hall is a 43,290 square foot facility on the grounds of Castleton State College. 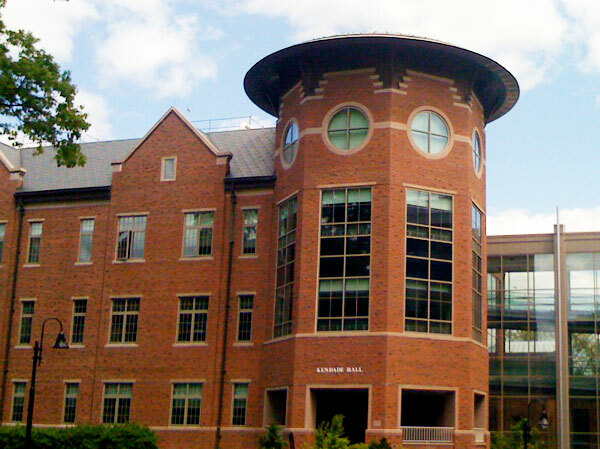 The dorm was completed in 2012 and received a LEED™ gold rating certification in November 2013. General Contractor: DEW Construction Corp. 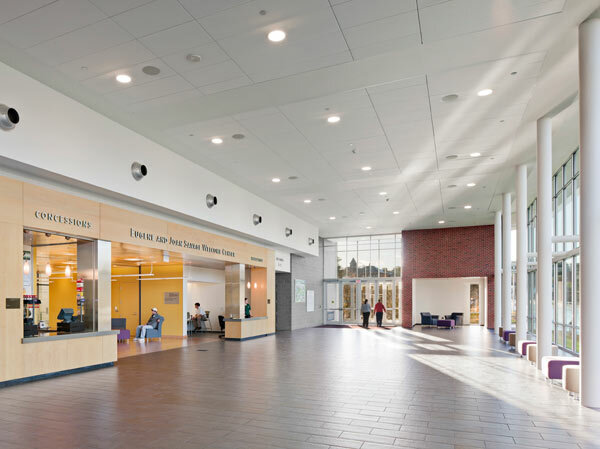 The ALLWell (Active Living, Learning and Wellness) Ice Areana and Welcome Center at Plymouth State University opened in 2010. 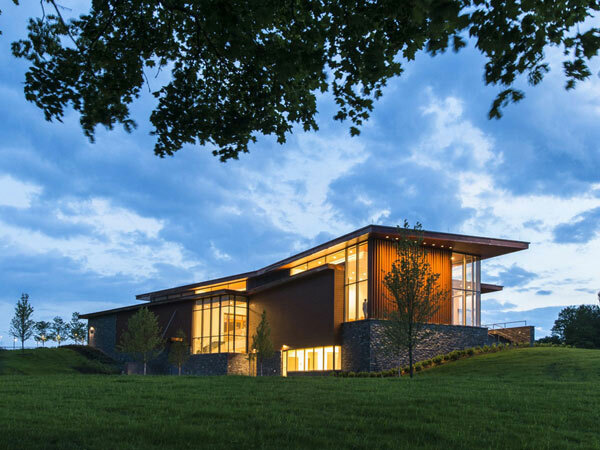 Situated at the gateway to New Hampshire's White Mountains range, the center was designed to meet LEED Silver standards for geothermal heating/cooling to maximize energy conservation.